The Monday blues are a real thing. It can be tough to say goodbye to the weekend and hello to the office. 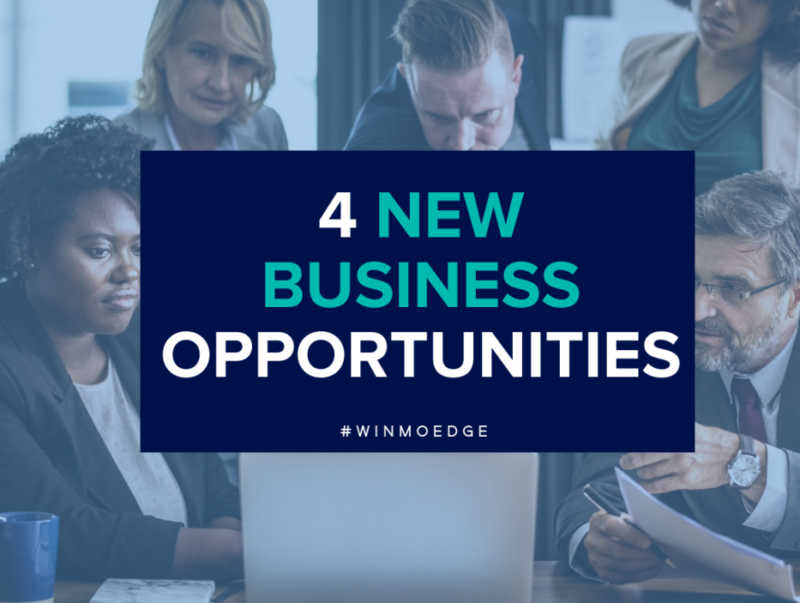 We’re here to brighten the start of a new week with our #Edgeucation report, bringing you four new business opportunities to pursue now. Our WinmoEdge team of experts provides you with decision-maker moves, forecasted sales opportunities, spending shifts, account moves, and product launches to name a few. With stories such as the ones below, you’ll stay one step ahead of your competition and tackle your sales goals with confidence. If this week’s wrap-up is a game changer for you, be sure to request a Winmo trial in order to ensure you and your team are reaching the correct contacts at precisely the right time using our WinmoEdge insight and updates. Lowe’s has unveiled a new slogan, using the phrase “Do It Right For Less.” While some may call it a strategic shift, it’s eerily similar to Home Depot’s “More Saving. More Doing.” motto. In an effort to end Lowe’s struggles, CEO Marvin Ellison has leaned heavily on his prior experience at Home Depot, borrowing numerous ideas from his previous career there. Regardless, the announcement of this new slogan will come with a campaign expected to launch in February. Lowe’s is putting a heavier emphasis on the Do It Yourself customers, and also targeting more of a millennial male demographic. With improvements needed, Lowe’s has made e-Commerce and improving customer experience top priorities. National TV Spend totaled $299.1 million in 2018, a rise from the 2017’s totaled $289.6 million according to iSpot reports. Adbeat reports digital display spend over the past year totaled $4.4 million and were placed primarily via direct buy. Don’t miss the opportunity to capitalize on the brand as they continue to attempt and make a comeback. Keep in mind there has been a heavier focus on personalized marketing through digital and localized channels when pitching. Lyft and Uber continue to compete for the passenger loyalty, and Lyft highlights all the reasons driving is a pain in their last two spots, “Nope/Yep” and “Yep, You Can.” The aim of these campaigns is to emphasize the freedom Lyft gives passengers to say yes to more because of the perks and opportunities Lyft provides. The Drum reported, “the two spots are just the beginning as Lyft’s brand team kicks off 2019,” so more opportunity lies ahead. Overall spending has dropped, which is predicted to change with all the new personnel added over the past few months. Lyft qualifies as an Account In Jeopardy on our team’s Vulnerable Account Index after hiring CMO Joy Howard in October, meaning signs of an agency shift are present with a review predicted 6-9 months out. Agency shifts have not been announced just yet, so Adtech readers are encouraged to keep Lyft on their radar for work. In 2017, Kroger announced their plan to redefine the way America eats and deliver more value for customers. Clearly, this is no small task and it continues to be a work in progress. Kroger has made progress on their goal with a recent announcement to test displaying feature pricing and nutritional information on digital billboards. Kroger Ship was also recently launched in an effort to appeal to those who struggle with shopping, along with Kroger Delivery. So what do these improvements have to do with you? Kroger wants to market these e-Commerce and technological advancements through multiple channels. Digital and TV spend have increased recently, and a digital focus is expected with a focus on personalized messaging. Adbeat reports digital display spend over the last year totaled $8.7 million, and a continued rise in spend is expected. Since the hiring of Gil Phipps to VP of branding and marketing in August, agency changes have not been announced. We recommend keeping Kroger on your radar for work and pitch with a focus on an omnichannel strategy. Subway has landed a place on the Vulnerable Account Index as review imminent, predicting an expected agency shift to occur in the next 3-6 months following the announcement of CMO Joe Tripodi’s retirement. Roger Mader, co-founder and managing partner of Ampersand will serve as acting CMO until a replacement is found. As we all know, with a new CMO often comes an agency review. Amid continued struggles, Subway’s reported total 2018 spend has decreased slightly from that of $219 million the previous year. According to Adbeat, the company has spent $3.7 million on digital display ads in the past year compared to $6.3 million dedicated to digital the previous year. Our team suggests reaching out soon to ensure you’ll be top-of-mind once a replacement is found, focusing on their target demographic typically targets males and the millennial consumer.